Aesthetic imaginings of Japan have stereotypically revolved around notions of beauty and restrained simplicity. Thus, the concept of ‘Japaneseness’ is imputed into what is commonly understood as ‘Japanese design’. This article explores the way in which the idea of ‘Japaneseness’ has developed by focussing on one area of the nation’s art and design: the landscape garden. Particularly, it considers the way in which the interpretations of Westerners between the 1870s and 1930s contributed to the dissemination of ideas of a quintessential Japanese garden aesthetic. It argues that such ideas resulted in images of gardens in Japan being embedded in the premodern rather than modern, and also contributed to a tendency for the notion of what is ‘Japanese’ to be essentialised to a single construct, one which existed as Other to a superior West. The misuse of the Japanese noun modifier no has been observed over decades. Recent research investigating learners of Japanese as a foreign language with Chinese as their first language (L1) presented evidence of negative language transfer. This study aims to replicate the findings of a quantitative study conducted in Japan that investigated the misuse of no through assessing Chinese, Korean and English L1 learners of Japanese who reside in Sydney, Australia. These learners were tested in both instantaneous production and production with no time restriction. Given that the Chinese language contains a corresponding noun modifier 的 (de), the results showed a significant negative language transfer in the Chinese L1 group. This and other results will be discussed. Since the introduction of Deng Xiaoping’s Open Door policy in 1979, the value and complexity of Sino-Japanese economic ties have grown exponentially. However, even as economic ties have developed, security relations have deteriorated as perceptions of a ‘China threat’ and a ‘re-militarised Japan’ have emerged in Tokyo and Beijing. The simultaneous existence of these trends challenges international relations theory. Economic interdependence theories expect that the development of economic relations reduces the role of security in bilateral relations. Conversely, neorealist theories posit that, given the preeminence of national security, a perception of threat will cool economic relations. Sino-Japanese economic relations have demonstrable bilateral benefits. Additionally, economic relations have created interest groups invested in maintaining good relations. These groups have successfully managed economic friction points and integrated bilateral trade. However, economic interdependence seems not to translate to the security calculus confirming neorealism’s contention that national security is preeminent. In particular, Japan’s development of Ballistic Missile Defence (BMD) illustrates the insignificance of economic ties in security planning. That said, it is equally true that perceptions of threat appear to have little influence on bilateral economic interdependence. Therefore, Sino-Japanese relations are best described by applying interdependence and neorealist theories in a complementary approach. Rakugo is the Japanese tradition of staged comic storytelling presented by highly trained hanashika storytellers associated with small urban variety theatres called yose, found in the Kamigata and Edo regions. Although yose theatres are associated with spoken rather than musical events, music is an integral component of Kamigata rakugo performance. It is central both to the rendering of a storyteller’s performance and to creating the overall atmosphere in the yose theatre. This paper addresses the lack of detailed research on music in Kamigata rakugo performance, particularly in English. It demonstrates and documents the centrality of music in Kamigata rakugo performance, specifically the way that this music, which is rich in symbolism, aids a storyteller’s performance and is intrinsically bound up in the hierarchical structure of the storytellers and yose-bayashi ensemble musicians. It focuses on how the music functions in the performances, transmitting meanings and supporting the social structure of the ensemble. There is considerable academic literature on the usefulness of loanwords to Foreign Language (FL) learners. This literature, based on empirical studies conducted among learners of various language backgrounds and learning various target languages, indicates that cognates shared by the first language (L1) of the learner and the target language are generally a positive learning resource in Foreign Language Learning (FLL) contexts. This study extends the current literature by its examination of the specific context of English speakers learning Japanese as a Foreign Language (JFL). It takes both qualitative and quantitative approaches to the investigation of teaching practices related to the use of loanwords borrowed from English into Japanese, known as gairaigo. A quantitative analysis of three series of JFL textbooks reveals that gairaigo nouns are used in introductory texts at an unrepresentatively high proportion. While there is currently no empirical basis for this strategy, qualitative interviews with teachers give some support to the strategy of using gairaigo in preference to words of Japanese origin in introductory courses to assist learner comprehension and production. This study identifies a number of variables driving teachers’ use of gairaigo that have so far not been articulated in the literature. This study examines how social interactions in language-exchange partnership sessions can create opportunities for Japanese language learners to use and learn Japanese. The participants in this study were two pairs, consisting of a Japanese native speaker and an Australian studying Japanese at an Australian university. 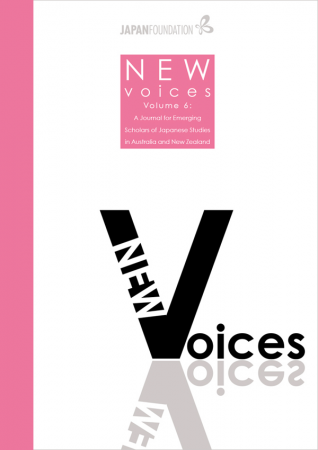 This study, employing Vygotsky’s Zone of Proximal Development and assistance to novices by experts, examined what factors enable participants in language-exchange partnerships to provide or receive language assistance within Japanese language learners’ zones of proximal development. As a result of the analysis, this study identified two important factors that had this effect: using shared learning experience in language-exchange partnerships, and actively negotiating the level of assistance. Language-exchange partnerships are a new type of learning experience for many participants. It can be anticipated that some participants may struggle to interact and learn from the interaction in the sessions. Therefore, this paper will provide pedagogical suggestions to improve interactions and learning outcomes from language-exchange partnerships. Moreover, suggestions for future research directions are presented in the conclusion of this paper. The ongoing dispute over whaling is a significant issue of conflict between Australia and Japan. It appears that the print media in each country supports the dominant opinion: anti-whaling in Australia, and pro-whaling in Japan. To investigate media perspectives, this study reviews newspaper coverage throughout a whaling season (15 December 2007 – 24 March 2008), analysing 48 articles from Australian newspapers (in English) and 51 articles from Japanese newspapers (in Japanese). Content analysis was employed to identify the characteristics of the newspaper articles. It is believed that reporting can contribute to cultural and political transparency by providing comprehensive views on the whaling issue. However, the findings here indicate that the current state of whaling reporting tends to be one-sided. This study assesses how the whaling issue is reported in both Australia and Japan, and what influences that reporting. It also focuses on Japan’s kisha club (reporters’ club) system to shed some light on why Japanese journalists report pro-whaling perspectives given international criticism from Australia.